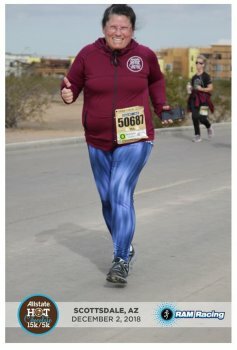 2018 - December - Are you Finished? The Thanksgiving holiday found me in Arizona spending time with my mom and extended family. 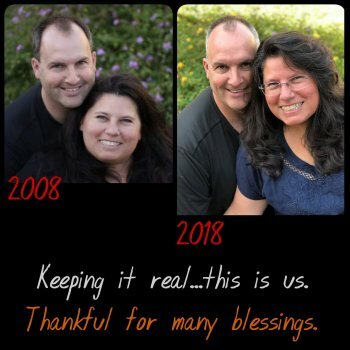 While there, my husband and I celebrated 10 years since he proposed and I pushed my envelope by participating in the Hot Chocolate 15K in Scottsdale, AZ. Got to do it with my mom who did very well! I'm thankful for quality time spent with family and all the projects you entrust to me in partnership with your own concepts and efforts. As we finish up this year of 2018, may you enjoy the season in which I like to celebrate Christ and what He has done for each of us --His gift of eternal life is free, you just need to accept it. Have you got all your projects finished for 2018? I'll be in the shop a lot through Dec. 21 working on your projects. Due to some commission project delays, I may have a couple more spots available if you need something quilted before Christmas. I've continued to add new products, not just to the website but in the shop too! Please check out the new arrivals online or make an appointment to stop by the shop and ask to see new arrivals. 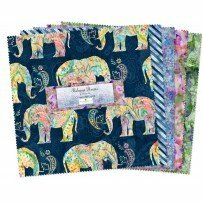 Beautiful new collections from Wilmington have arrived ...10" stacks and coordinating yardage. --Bohemian Dreams and Day at the Lake . Supplies for jelly roll rugs (pre-cut batting rolls and lots of jelly rolls to choose from) or a phone charging caddy (pick your fabrics and select coordinating grommets) are also now in stock. Photos have been posted on the Facebook page. Shipping is free when total purchase exceeds $75. Order ahead and select 'pick up in shop' if you're running tight on time but would like to pick it up in person. Shop Calendar --I'm doing better at maintaining the online calendar. Haven't seen it? Check it out here. Proposing Sunday Dec. 9 at 10am. RSVP by Dec. 7. 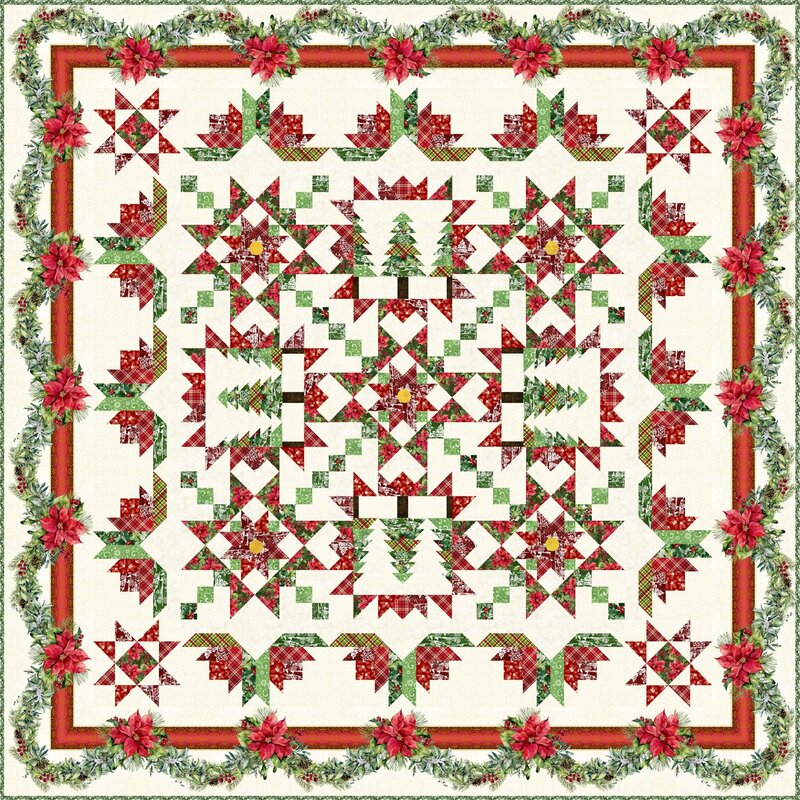 Get e-pattern here which includes several other holiday themed quilts. A quick holiday themed runner but any coloration could work with this design. 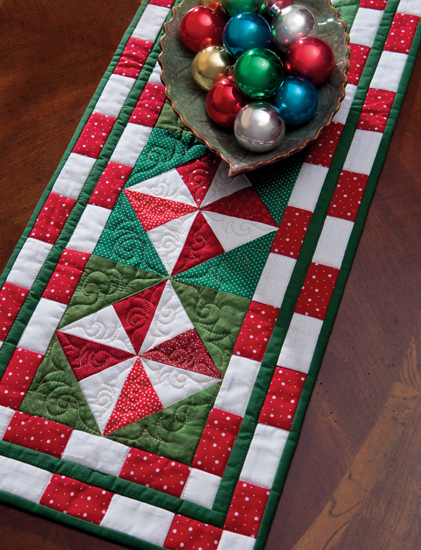 Scrappy from your stash or come in and pick just the right fabrics for your own holiday table or the perfect hostess gift. Length of design can be adjusted in 9" increments. December 10 -- Show & Share --Bring what you've been working on and/or share a holiday treat; stay and sew if you'd like. PREVIEW - A Poinsetta Winter - from In The Beginning Fabrics - limited quantity BOM kits will be available starting May 2019. Let me know if you'd like to reserve one. 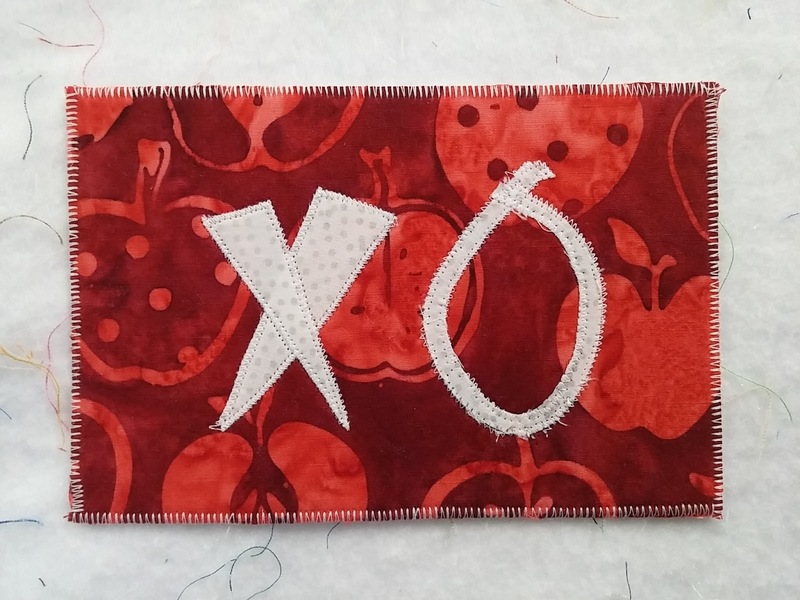 OTHER CLASS OPTIONS TO CONSIDER FOR 2019 -- jelly roll rug; bag; patterns from Barbara Persing, Elizabeth Hartman, Violet Craft (english paper piecing--all by hand or foundation paper piecing), Sew Kind of Wonderful (new book with lots of seasonal wallhangings and curved ruler), Turning Twenty and Strip Therapy. Many options to choose in the shop from these last 6 designers. Make an appointment to come check them out and help me plan a schedule for classes. 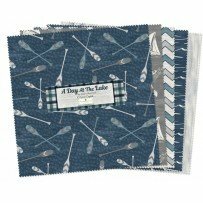 Check the 'patterns' category on the website for just some of the possibilities --come in for the rest! If there are any particular techniques or projects that you'd like to have as a class, gather your friends who are interested and we'll schedule a class for this fall/winter/spring that works for you. Costs will be determined based on number of students and time needed for the project. Aurifil has extended a great deal and I'm offering it right here in Grand Coulee. $14.99 gets you a spool of white thread and a box to put it in--your own brand new box! Typically here in Grand Coulee, I offer the spools at $12.50/spool and if you buy a whole case (12 spools) at one time, you get the case for $125. 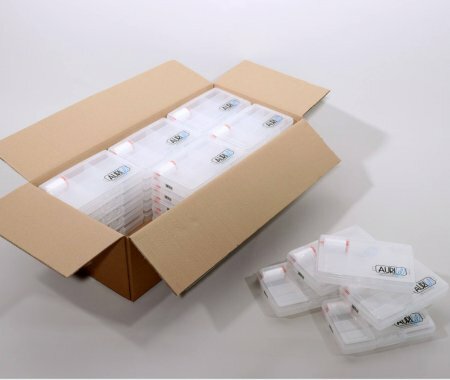 This offer will let you buy them at one or more a month until you reach 10, then you'll get the last 2 (to make 12) free. You can do this as often as you'd like, but is available only to the first 30 customers or if purchased by January 6, 2019 whichever is first. Spool prices will go up to $13.35/spool on January 7, 2019, but all Thread Box Club Members will continue to be able to get spools for $12.50 until they have completed their case. Stop in and get your numbered box or order online by January 6, 2019. We'll track your spool purchases that qualify for the thread club discount. Current prices will be going up to $9.75/yd as of January 7, 2019 -- get your orders in now for the best prices--$8.50/yd. Orders placed by Dec. 20 will ship immediately. All orders placed between Dec. 21 and January 6 will be shipped January 7.